Do you want information about homeschooling high school? Lee Binz is a veteran homeschool mom and editor of the website The Home Scholar. In part 1 of our interview, Lee discusses the advantages of choosing to homeschool high school. Read the following for tips on choosing curriculum and preparing your child for college and beyond. How should parents go about designing a program for homeschooling high school? Learn what courses are recommended for high school. I have an article about that on my website, in the "articles" section. Just remember that you don't have to do it all, all in one year! What advice do you have for parents when choosing curriculum for homeschooling high school? Try to choose curriculum intended for homeschoolers, because it will assume you know nothing. Curriculum that was originally intended for classrooms will assume that the teacher already knows the subject. Do parents need to use an accredited program to homeschool high school? No. There is a huge difference between "accredited" and "official." Homeschooling is legal in every state, and you don't have to be accredited in order to be official. It's important to note that there are public and private high schools across the nation that are not accredited so don't be afraid. You will be treated by colleges in the same way those non-accredited public school programs are treated. Is it necessary to employ a traditional textbook or online approach when homeschooling high school? No. In fact, that is one of the biggest mistakes I see parents making at the high school level. You should continue to do the same homeschool approaches that have worked for you in the past, and only change when things aren't working. It can be a disaster to suddenly change your school into a highly structured, textbook driven. That can cause burn out for the child, and frustration for the parent. How do parents who aren't using an umbrella school or online program assign grades and prepare high school transcripts? Parents can provide their own transcript with grades and credits. That's what I did, and our transcripts earned admission to every college, with many good scholarships. As I show people in my seminars, a transcript is only a piece of paper with words and numbers. It doesn't have to be fancy or accredited; it just has to truthfully represent your homeschool. My book, "The Easy Truth About Homeschool Transcripts" can explain everything! It comes with an audio class on making a transcript, the book you can read, template that you can use, and free time on the phone with me to get your questions answered. Transcripts are like learning a new recipe. You have to learn how to do it the first time, but after that it seems pretty easy. How can parents who are homeschooling high school make sure their children are prepared for college? The big key is to make sure your children have the ability to read, write, and do math. Colleges are frustrated with the state of public education, and if your child can do those things well, they will be well prepared for college. What advice do you have for parents of high schoolers who feel unequipped to teach their children? The key to success was given to me by my midwife, 20 years ago. She said, "Know your baby and trust yourself." That's the key to high school as well. If you know your child, and you love your child, then you have everything you need to get the job done, and done well! You might also want to sign up for my newsletter, because it will provide monthly encouragement about homeschooling high school. How can parents teach advanced courses, especially in math and science? Great news! You don't have to "teach" those things! You don't have to teach them, and you don't have to learn them yourself. You only have to make sure that your children learn. With an answer key and possibly a video tutorial, you can handle even those scary subjects. I was able to teach physics, Latin, French, and calculus without knowing ANY of them. After graduating from homeschool, my boys were very successful in all of those subjects at a college level, so it must have worked. And for the record, I still don't know anything about those subjects! What advice do you have for homeschooling parents who may want to transition their high school students into a public or private school? Will public schools accept their credits? Colleges understand homeschool credits, and they see unaccredited public school transcripts frequently, so colleges are no problem. It is much more difficult to have credits accepted by a public school. They are accepted at the discretion of the school district. For some parents, they plan on homeschooling high school for freshman and sophomore year, and then transfer to the community college to complete high school by dual enrollment. What advice do you have for parents who have withdrawn their children from public or private school in order to teach them at home? If a parent has never homeschooled before, it is very important to choose curriculum that is easy to use. I often recommend Sonlight for beginners. It's not cheap, but it's much less expensive than private school. It can also hold your hand during the process of learning how to homeschool. What advice do you have for parents who are homeschooling high school? Don't be afraid, you can do it! 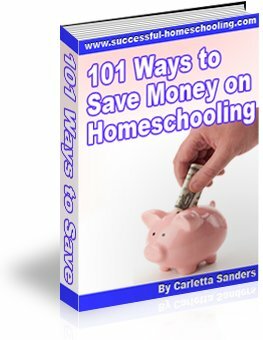 Spend some time and effort learning about homeschooling high school, and it will be a great investment. If you have successfully gotten this far, you will continue to succeed in high school. It's really just another stage of life. Please tell us about your business and website, The Home Scholar. My mission is to help parents homeschool high school, and many of my services are free. I work very hard to keep a balance between my free services and the paid services. Visit Lee's website, TheHomeScholar.com where you can find information about her free monthly newsletter, free weekly office hours, daily blog posts, "dig deeper" articles, free high school mini-course, free e-book, low cost audio and video courses, and Gold Care Club.